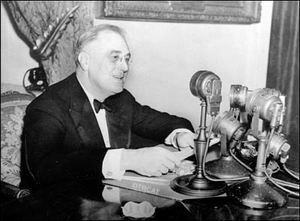 Franklin Delano Roosevelt utilized the radio to help lead America through the most difficult period in United States history. He reminded the country of our hopes and values and the promise in democracy. The President greeted Americans via radio as both friend and leader with sincerity, dignity, and at times a dose of humor. 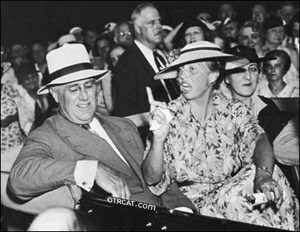 One of the greatest uses of mass media in history, the FDR Fireside mobilized the home front from the Great Depression through World War II. To reach the greatest amount of people, the Fireside Chats were broadcast on all national networks around 10:00 p.m. Eastern time. And people listened in mass. He asked that people from all walks of life write to him directly and tell him their troubles and millions of letters flooded the White House. The chats thus took the format of a conversation between a people and their president in the midst of a crossroads in the history of the United States. In 1933, Eight days after he was inaugurated, U.S. President Franklin Delano Roosevelt presented his first presidential address to the nation. 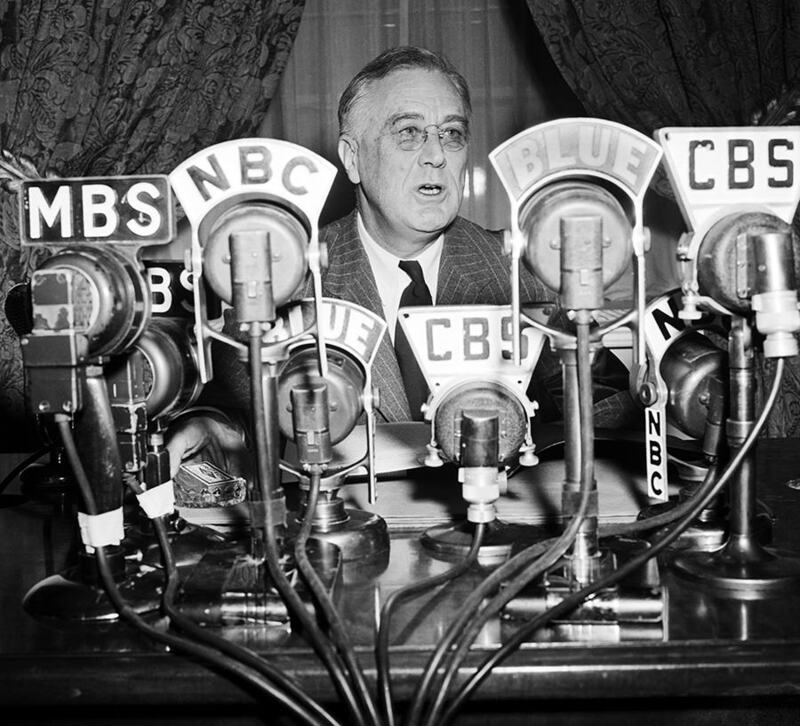 It was the first of what were called Roosevelt\'s famous Fireside Chats. The name, incidentally, was coined by newsman, Robert Trout. He thought that the President sounded as if he was sitting with us in living rooms all over the nation next to a roaring fire, just telling it like it was. When FDR talked to families via the radio, he talked to them as if they were friends, not his subjects....That is why he always started his addresses with \"My friends.\" Although it wasn\'t the key phrase of his Inaugural Address, it became connected with his philosophy...\"The only thing we have to fear is fear itself.\" My grandmother had a phrase that went...Fear knocked on the door....faith answered and there was no one there.\" This isn\'t necessarily religious faith, but the faith a person has in his own ability to handle his own problem with the secure knowledge that it will work. FDR 370928 Address We In America Are Wiser . . .
FDR 380630 Closing Session National Education Assoc. FDR 380709 Address America Needs Government . . .
FDR 401102 Last Campaign Address 1940 I See An America . .
FDR 431109 Signing Agreement UN Relief And Rehab Admin.